Recalibrate pyranometer every 2 years………. It is advised to recalibrate Pyranometer after every two years as the sensitivity of pyranometer slightly changes. The recalibration provides the proof of correct irradiance measurements. It also increases the confidence on the stability of the equipment. On re calibrating pyranometer and recieving new sensitivity certificate , one gets sure of the reliability and correctness of the instrument. There are two methods to calibrate pyranometers . Either using Laboratory sources (Indoor) or using the sun (Outdoor) In both methods, the testing pyranometer and a reference standard pyranometer are exposed under the same conditions. ITC India Pvt Ltd has adopted the first method i.e. using Laboratory Sources and is explained below. Both the pyranometers reference and the pyranometer that has to be calibrated are exposed to a stabilized tungsten-filament lamp installed at the end of an optical bench. A practical source for this type of work is a 0.5 to 1.0 kW halogen lamp mounted in a water-cooled housing with forced ventilation and with its emission limited to the solar spectrum by a quartz window. This kind of lamp can be used if the standard and the instrument to be calibrated have the same spectral response. For general calibrations, a high-pressure xenon lamp with filters to give an approximate solar spectrum should be used. When calibrating pyranometers in this way, reflection effects should be excluded from the instruments by using black screens. The usual procedure is to install the reference instrument and measure the radiant flux. The reference is then removed and the measurement repeated using the testing instrument. ITC India has diversify in Thermopile pyranometer calibration as per ISO 9847 standards . So, lets connect with us to calibrate your pyranometer. Here is the table that makes the clear difference why thermipile is best of three. What is a thermopile pyranometer ? What is a thermopile pyranometer? A thermopile pyranometer is a sensor based on thermopiles designed to measure the broadband of the solar radiation flux density from a 180° field of view angle.The first generation of thermopile pyranometers had the Hot junction of the sensor equally divided in black and white sectors. 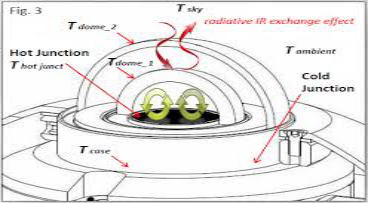 Irradiation was calculated from the differential measure between the temperature of the black sectors, exposed to the sun, and the temperature of the white sectors, sectors not exposed to the sun or better said in the shades. In all thermopile technology, irradiation is proportional to the difference between the temperature of the sun exposed area and the temperature of the shadow area. What is the design of thermopile pyranometer? Thermopile Pyranometer is basically consist of two components. Glass dome: It protects the thermopile sensor from convection. For first class and secondary standard pyranometers an another glass dome is used. 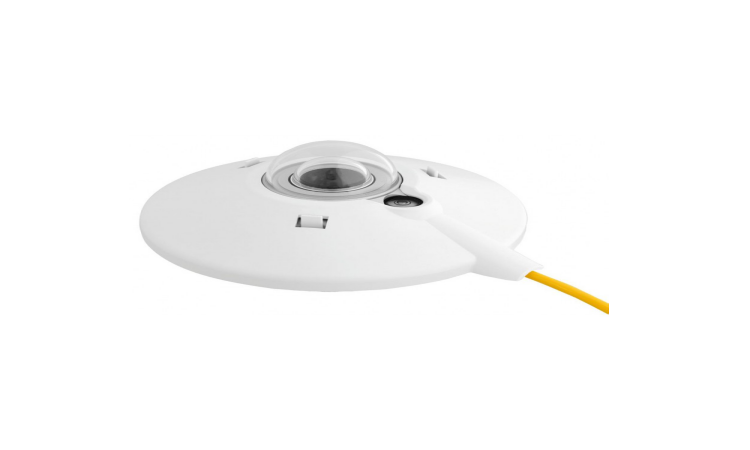 It provides better thermal equilibrium between the sensor and inner dome, compared to using a single dome. What is its working principal of thermopile pyranometer? The thermoelectric detection principle is used, incoming radiation is almost completely absorbed by a horizontal blackened surface, over a very wide wavelength range. The resulting increase of temperature is measured via thermocouples connected in series or series-parallel to make a thermopile. The thermopile is used to measure this temperature difference. The potential difference created in the thermopile owing to the temperature gradient between the two surfaces is used for measuring the amount of solar radiation. However, the voltage produced by the thermopile can be measured using a potentiometer. Radiation data needs to be integrated by means of an electronic integrator or planimetry. What are its applications ? How it is advantages ? Highest accurate than photodiode and photovoltic pyranometer.